Norman Frederic Rowe was born in 1945 in Boston, MA, to Henry and Betty Rowe, the first of the three children produced by the couple. His father had graduated with a B.S. in Mechanical Engineering from M.I.T. and had spent the war years working with the Navy in weapons development. After a year in the Boston area, the family moved to Akron, OH, where his father had taken a job with Goodyear Aircraft (now Goodyear Aerospace). After a few years in Akron, his father decided to go to medical school, so in 1950 he went to Columbus, OH, to attend the Ohio State University School of Medicine and Norman, mother, and sister Amy (born in Akron) went to spend a year in Charleston, WV, with his grandmother. Norman attended kindergarten at Christ Methodist Church during that year. After a year in Charleston, the family was reunited in Columbus where Norman attended the Columbus Public Schools while his father completed medical school and internship. Norman's participation in music began in Columbus where he was admitted to Northminster Presbyterian Church's 4th, 5th, and 6th grade choir while still in the 3rd grade. Norman's brother Dan was born in Columbus shortly before the family moved to Dublin. After completing his medical training in 1956, Norman's father set up practice in nearby Dublin, OH, where Norman attended the Dublin Public Schools (beginning with the 6th grade). His musical activities continued as he sang in the youth choir at Dublin Community Church (and later in the adult choir) and the school choir (and Boys Glee Club in high school). He also started his instrumental training in the 6th grade with the tuba as his instrument of choice. In the 8th grade he took up trumpet as a secondary instrument and in the 10th grade the trumpet was exchanged for a tenor trombone. His accomplishments included being selected to the All-County Chorus three times (twice selected as best baritone), All-Ohio High School Festival Chorus once, All-County Band twice, and membership in the Columbus Symphony Youth Orchestra. In 1962 the family moved to Santa Barbara, CA, where Norman spent his senior year of high school at San Marcos High School and received his diploma in June 1963. Here Norman sang in the choir, a barbershop quartet, and with youth and adult choirs at First Congregational Church. He also played in the school band and dance band as well as the Santa Barbara Symphony Youth Orchestra. Norman was one of two tuba players elected to the All-California High School Symphony Orchestra and selected for 1st chair. He was also offered a full scholarship to the Music Academy of the West the following summer which he accepted. There he studied privately with Davis Shuman, played under Mr. Shuman in the brass choir, and under Maurice Abravanel in the symphony and opera orchestras. He was given scholarships for the next two summers as well during which time he took theory from Donald Pond, played in wind ensemble under Mitchel Lurie, had some conducting instruction from Mr. Abravanel, and received some vocal coaching from William Eddy. Norman attended Santa Barbara City College (much of it part-time while working) as a Music major, singing in the choir and a barbershop quartet and playing in the concert and jazz bands. In the spring of 1967 he appeared with the choir on tour and at home as tenor soloist in Bruckner's Te Deum. During this time he also played with various musical groups including the Santa Barbara Symphony Orchestra (tuba), Santa Barbara Brass Choir (tuba and bass trombone), Santa Barbara American Legion Band (tuba and trombone), Santa Barbara Municipal Band (tuba, bass trombone) and Santa Barbara Salvation Army Band (1st cornet). In addition he taught applied low brass at Westmont College and became a life member of the Music Educators National Conference. After spending the summer of 1967 on staff at Pilgrim Pines (U.C.C. camp in Yucaipa, CA), Norman enrolled as a Music major at California State College, Fullerton (now California State University, Fullerton). There he sang in the College Singers and Concert Choir and played in Symphony Orchestra, Concert Band, Wind Ensemble, Brass Choir, and Early Music Consort. He studied bass trombone with James Whitsitt and Norman Fleming, early instruments and orchestration with Andrew Charlton, composition with Donal Michalsky, choir and choral conducting with David Thorsen, brass and band with Benton Minor, orchestra with Daniel Lewis, brass choir with Lester Remsen, and woodwinds with Harvey Pittel. He also worked as a campus tour guide and tour guide at the F. E. Olds Musical Instruments factory during this time. He sang with the Orange Empire Chorus of the S.P.E.B.S.Q.S.A. and served as Assistant Chorus Director. He participated with a number of other musical groups including the Reffitt Trombone Ensemble and the Tudormen. Norman also studied the sport of fencing both at CSCF and privately. He was invited to join the varsity fencing team, but conflicts with his musical group schedules overruled that. He also served on the Student Body Senate, Finance Committee, Faculty Council, and the Student Advisory Council to the Dean of the School of the Arts. Norman was a member of the Gamma pledge class (later redesignated as Delta class) of the Omicron Pi chapter of Phi Mu Alpha Sinfonia and served the chapter in various capacities. In 1971 Norman was offered employment at Imperial Schools in Big Sandy, TX, before he had completed his studies at Cal State Fullerton. He accepted the position as Band Director and moved to Gladewater, TX, and spent a year teaching band, general music, and middle school English and Social Studies at Imperial. During that time he also played bass trombone with the Ambassador College Band. The following year he enrolled as a Theology major at Ambassador College, singing in the choir and playing in the band. He also played in the East Texas Symphony Orchestra during that time. Norman was chosen to play bass trombone in the band for the Garner Ted Armstrong Personal Appearance tours from 1972 through 1975 which took him from Big Sandy to Pasadena, Calgary, Buffalo, Seattle, St. Petersburg, Nashville, Salt Lake City, and numerous other locations over the three-year period. During his junior year he organized and directed a volunteer, extra-curricular student concert band which became a regular course offering the following year. Directorship passed to Gary Briggs (A.C. music faculty member) and Norman played first trumpet. In June of 1975 Norman received a B.A. in Theology from A.C. and continued his education as a graduate student in Music at Stephen F. Austin State University in Nacogdoches, TX where he became active with the Mu Xi chapter of Phi Mu Alpha. While there he sang with the Timbretones S.P.E.B.S.Q.S.A. chorus and served first as Assistant Chorus Director and later as Chorus Director. In 1977 Norman married Yvonne Eads of Memphis, TN, and their first child, Paul, was born the following year. With little more than paperwork remaining to complete his M.A. in Music at SFASU, Norman and Yvonne and Paul moved to Memphis (for economic reasons) and he was never able to return to Nacogdoches to complete his work there. In Memphis Norman worked at a variety of jobs and participated in a number of musical groups. These included the River City Community Band (now the River City Concert Band) (bass and tenor trombones, oboe, euphonium, percussion), Memphis Civic Orchestra (principal oboe), Southern Slides trombone ensemble, Dixie Cotton Boll Chorus of the S.P.E.B.S.Q.S.A. (tenor, assistant chorus director), Germantown Community Chorus (tenor), Germantown Symphony Orchestra (bass trombone), and pit orchestras at Theatre Memphis (trombone, oboe), Germantown Community Theater (trombone), Playhouse on the Square (trombone), and Bartlett Community Theater (trombone). During their stay in Memphis, Norman and Yvonne's second and third children (Tony and Jenny) were born. In 1994 it was learned that Yvonne's stepfather was dying of bladder cancer, so the family pulled up stakes and moved to southern Oregon. The move to Oregon was intended to be very temporary, probably about 6 months or so. It ended up lasting almost 5 years. Again, Norman worked at a variety of jobs while remaining very active musically. He played in the Southern Oregon Concert Band (percussion, oboe, euphonium, baritone saxophone, original webmaster, vice president), Rogue Valley Wind Ensemble (now Rogue Valley Symphonic Band) (euphonium, original webmaster, board of directors), Southern Oregon University Symphonic Band (euphonium, bass trombone), Southern Oregon University Brass Choir (trumpet), Swing Kings (bass trombone), Rogue Valley Brass Choir (euphonium, percussion, director), Ashland City Band (euphonium, stage/equipment manager, webmaster), State of Jefferson Community Band (oboe, bass trombone, euphonium), Rogue Valley Recorder Consort (all recorders, assistant director, webmaster), and Tutti (a recorder quintet). Beginning in February 1999 Norman and Yvonne began calling their travel trailer "home", first parking it at the Oregon RV Roundup RV park in Talent, OR, until September. After September 1999, their home has been wherever they decided to park the RV. In December 2001 they took possession of an Allegro 31' motor home which has taken the place of the trailer. Over Labor Day weekend in 2006 the Allegro was destroyed by a fire and a 33' Suncrest motor home replaced it. The first extended stay was the Monterey/Salinas area of the central California coast. While there, Norman first worked for a temporary employment agency, then in the administrative offices of Monterey-Salinas Transit. During that time he played in the Santa Cruz City Band (trumpet, trombone, euphonium, and percussion), San Lorenzo Valley Community Band (trombone, French horn, euphonium, percussion), Cabrillo College Band (euphonium), Watsonville Band (euphonium, bass trombone, percussion, tuba, French horn), Pacific Brass Band (euphonium, percussion, Eb tenor horn, BBb tuba), Monterey Peninsula College concert band (euphonium, trombone, trumpet, tuba, percussion) and swing band (bass trombone), Monterey Community Band (oboe, tuba, euphonium, percussion), and the South Valley Symphony (principal trombone). The second area of extended stay was Santa Fe, NM. While there, Norman worked as a substitute teacher with the Santa Fe Public Schools and played with the Santa Fe Concert Band (alto saxophone, oboe, French horn, timpani, trombone) and the Santa Fe Great Big Jazz Band (trombone). He was also active with the Santa Fe chapter of the American Recorder Society. The third area of extended stay has been Gold Beach, OR. While here, Norman works as a school bus driver for the Central Curry School District, a Substitute Instructional Assistant with the South Coast Education Service District working with Special Needs students, and a route, relief, and contract driver for Curry Public Transit. He plays with the Curry/Del Norte Orchestra (principal oboe and occasionally drum set, trombone, or alto saxophone) with a tuba-euphonium quartet in the process of being organized. In 2007 Norm registered Talent Music Publishers as a business (dba), publishing and distributing pieces he has composed or arranged over the years. He also is publishing works (original compositions and arrangements) for a growing number of other people. In 2009 Norman decided to start a small music store in Gold Beach called Talent Music dealing primarily with band instrument accessories, sheet music, musical gifts, and private music lessons. He also hopes to offer recorder classes. At the end of the 2010-11 school year, the Central Curry School District Board of Directors decided to eliminate the music programs in the Gold Beach schools. 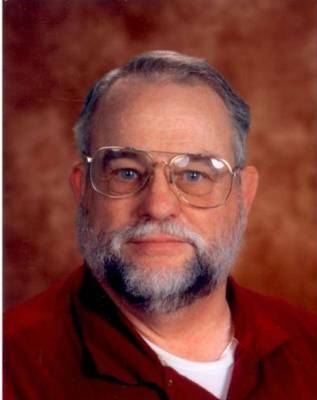 Norm volunteered to continue the instrumental music programs at both the middle school and the high school. In the spring of 2011 Norm ran as a write-in candidate for the Board of Directors of the South Coast Education Service District (ESD) and was overwhelmingly elected. The term will last for four years (2011-2014). Norm can usually be easily reached via email at norm[at]roweboat.com. For a somewhat more detailed description of Norman's education and musical background, see his Music Fact Sheet.